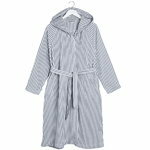 Siro Mari bathrobe is made of a high-quality cotton-polyester blend. It has a terrycloth interior and velour exterior. 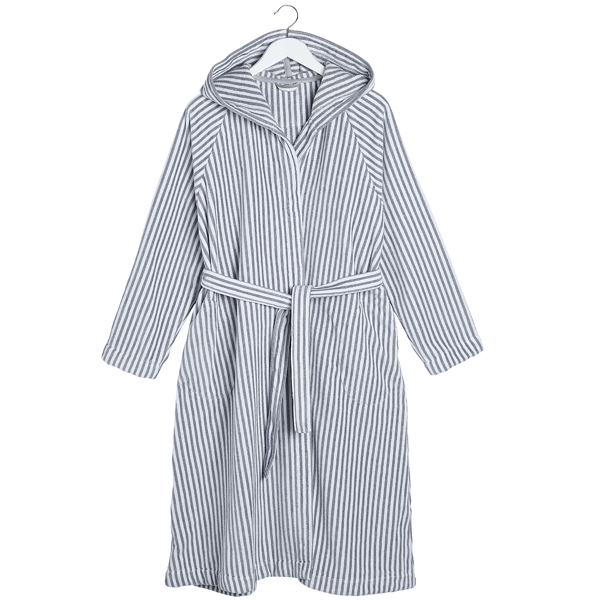 Siro Mari bathrobe is a perfect companion for after-bath lounging. Kristina Isola is a Finnish textile designer who has followed in the footsteps of her mother Maija Isola, one of the most well-known Marimekko’s textile designers. Kristiina Isola, who has studied at the Free Art School in Helsinki and at the department of photography of the Institute of Industrial Arts, made her first sketches for fabrics at the age of sixteen as an assistant to her mother. Between 1978 and 1987 mother and daughter designed for Marimekko under the joint name of Maija Isola/Kristina Isola. At present, Kristina Isola designs her own fabric prints – which include for example designs such as Gingko, Biloba and Metsänväki. Kristiina Isola is also responsible for the new colourways of Maija Isola’s designs and the adaptation of their patterns to suit different products. She is for instance responsible for the new colourways of Maija Isola’s patterns such as Unikko, Melooni, Kivet, Sateenkaari and many others, which are now present also in different colours than the original ones which give them a new look.